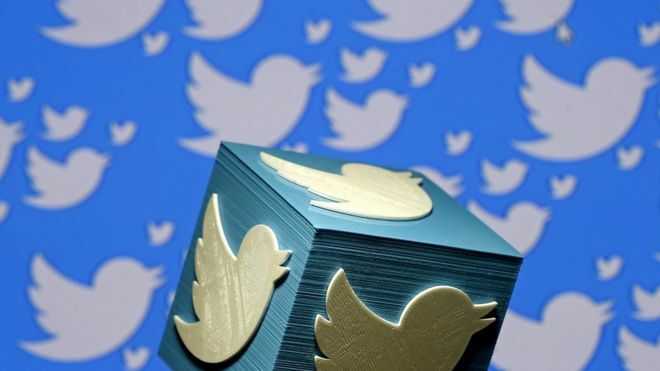 Twitter plans to increase the number of characters in tweets from 140 to 280 for the majority of users. The new limit will not apply to tweets written in Japanese, Chinese and Korean which can convey more information in a single character. The move follows a trial among a small group of users which started in September in response to criticism that it was not easy enough to tweet. The change is part of Twitter's plan to attract new users and increase growth. During the test, only 5% of tweets sent were longer than 140 characters and only 2% more than 190, the social media site said in a blog post. But those who did use the longer tweets, got more followers, more engagement and spent more time on the site, it added. "During the first few days of the test, many people tweeted the full 280 limit because it was new and novel, but soon after behaviour normalised," wrote Aliza Rosen, Twitter's product manager. "We saw when people needed to use more than 140 characters, they tweeted more easily and more often. But importantly, people tweeted below 140 most of the time and the brevity of Twitter remained." According to Twitter, 9% of tweets in English hit the character limits. "This reflects the challenge of fitting a thought into a tweet, often resulting in lots of time spent editing and even at times abandoning tweets before sending," Ms Rosen said. Increasing the character limit should not affect people's experience on the site, she added. "We - and many of you - were concerned that timelines may fill up with 280-character tweets, and people with the new limit would always use up the whole space. But that didn't happen." When the change was announced, many criticised it, pointing out changes they would rather see, such as a crackdown on hate crime and bots, and the introduction of a chronological timeline and edit function. The site currently has 330 million active users. This compares with 800 million for Instagram and more than 2 billion users for Facebook.